A death/thrash metal band from Georgia forming in 1986. 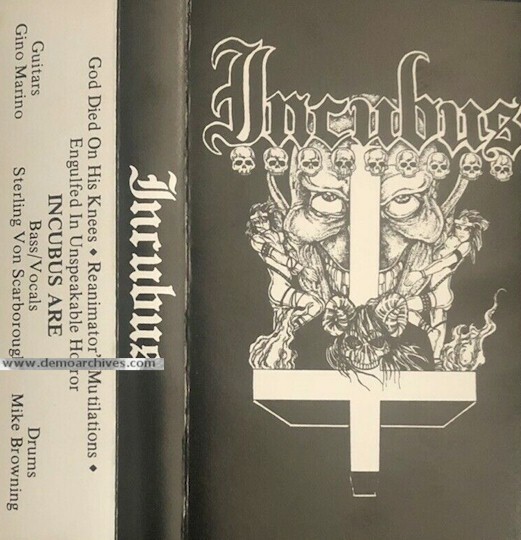 Sterling Von Scarborough then moved to Florida to join Morbid Angel, but when he and Mike Browning left, they reformed Incubus with Gino Marino and released one demo in 1987. 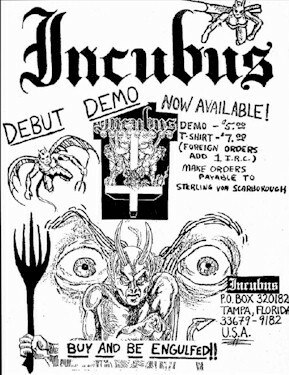 When Mike Browning left Incubus to form Nocturnus, Von Scarborough returned to Atlanta, Georgia and was joined by Marino in a new Incubus that never went anywhere. Pro printed covers on glossy paper. Sometimes referred to as God Died on His Knees demo. 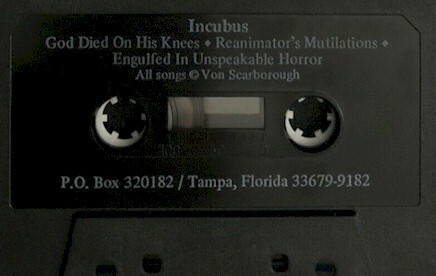 Pro tapes.